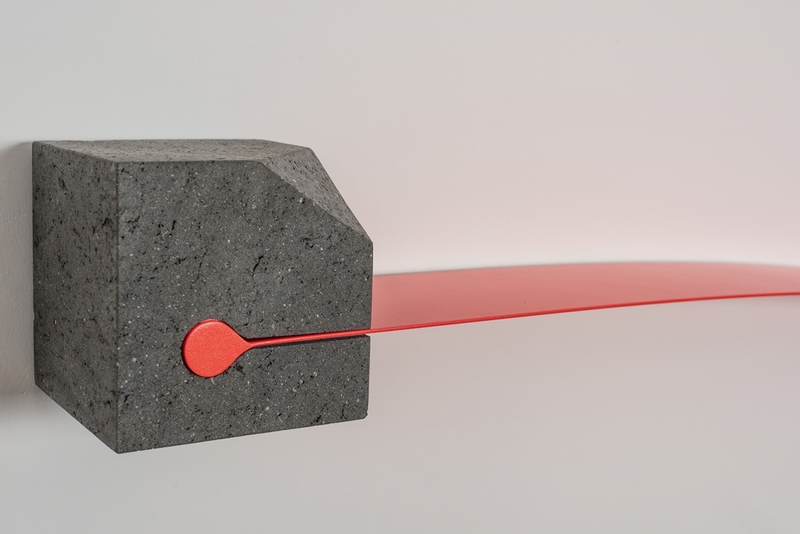 The strength of the steel and the weight of the rock are bent and balanced by the burden of culture. 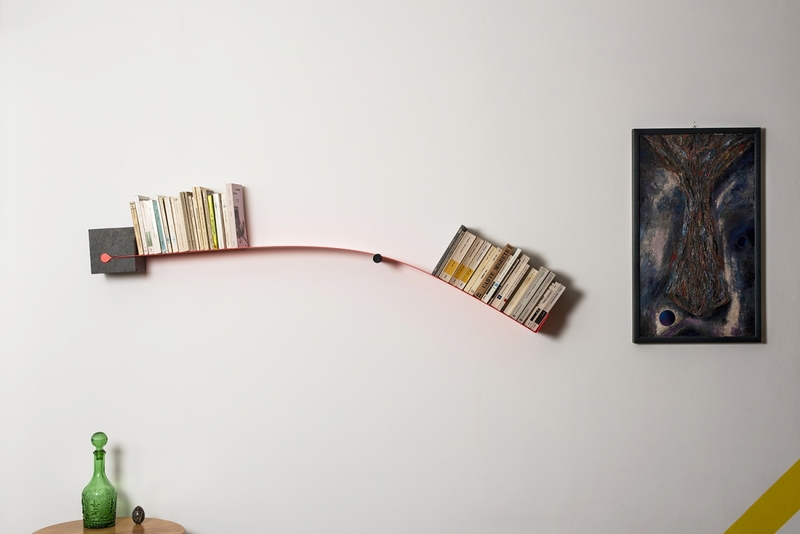 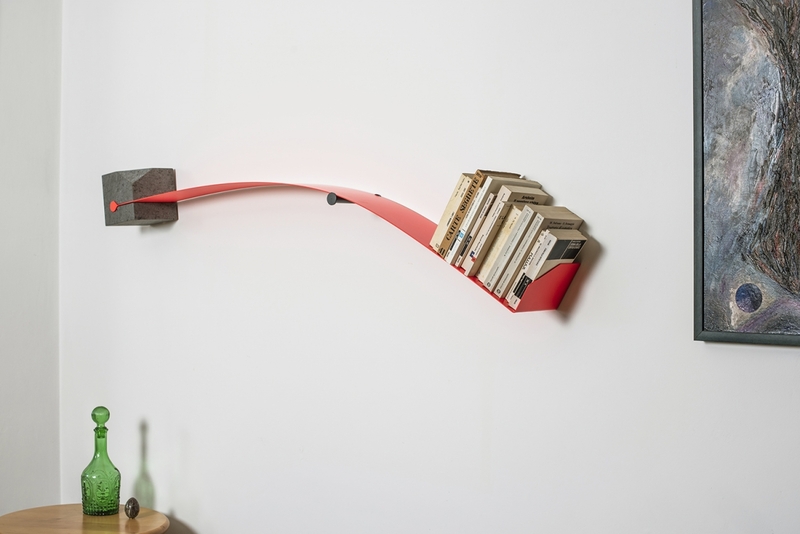 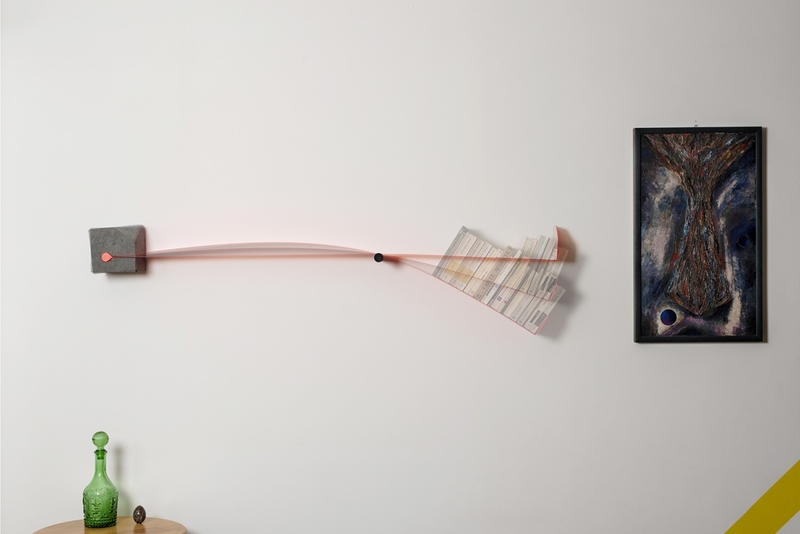 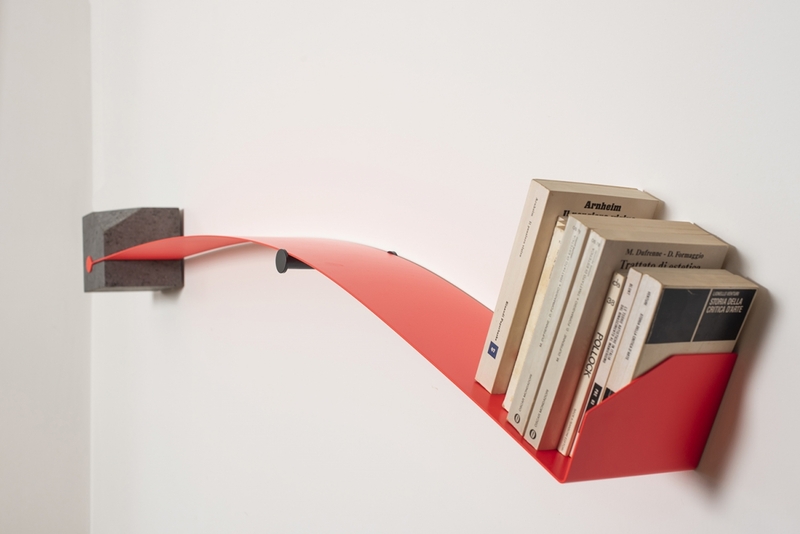 The shelf made of steel and lava stone bends with the weight of the books, giving a sense of apparent balance. 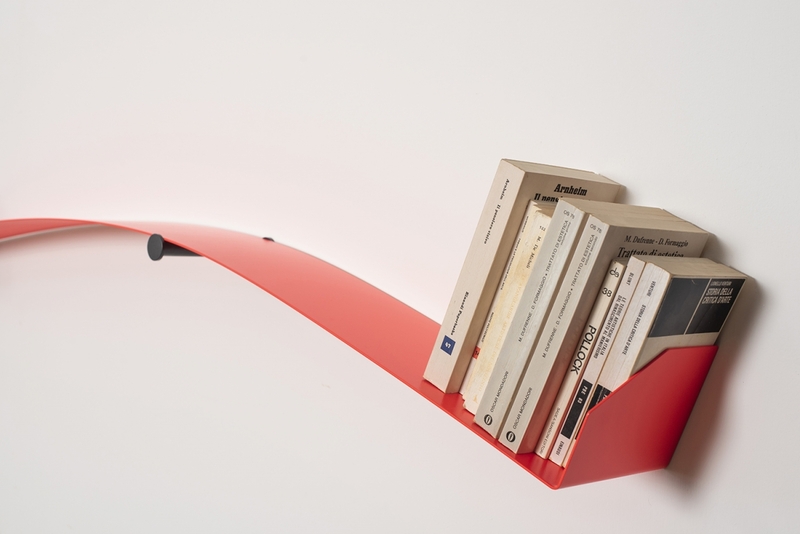 The fluorescent color of the thin metal sheet contrasts with the dark and rough finish of the basalt.